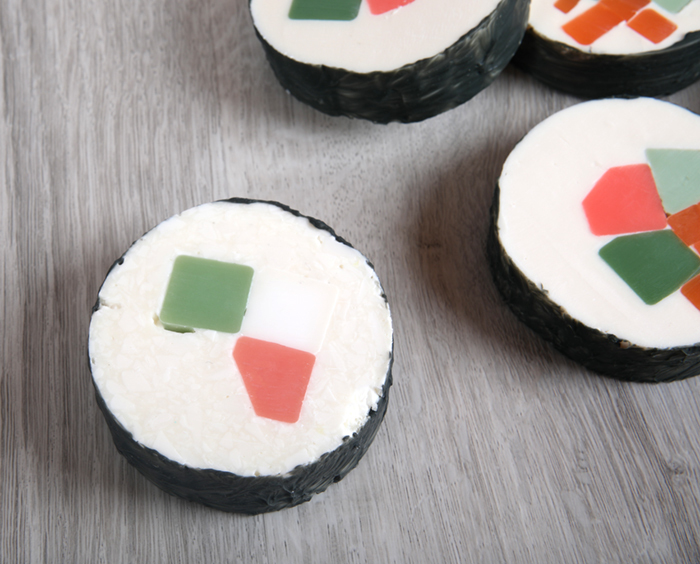 The Bramble Berry studio has several sushi addicts. 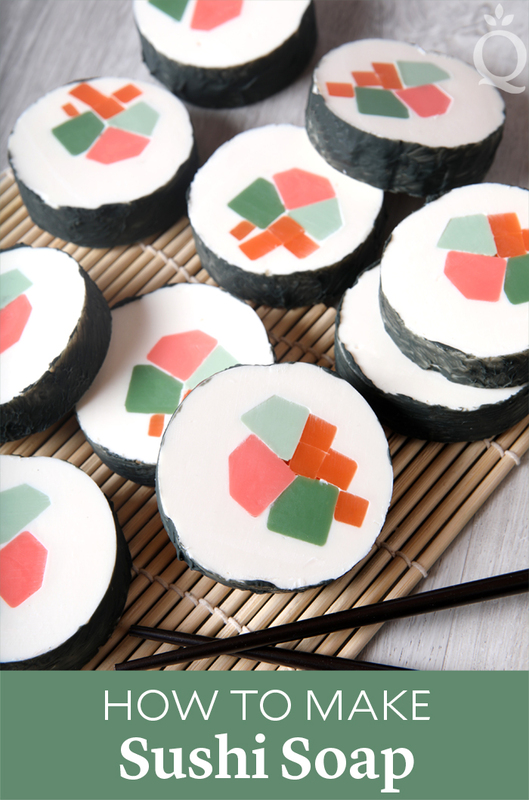 While brainstorming new project ideas, we kept going back to recreating a classic sushi roll with cold process soap. 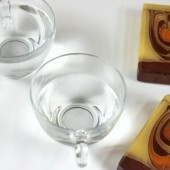 We tackled the project with melt and pour back in 2009, but it was definitely time for a redo. 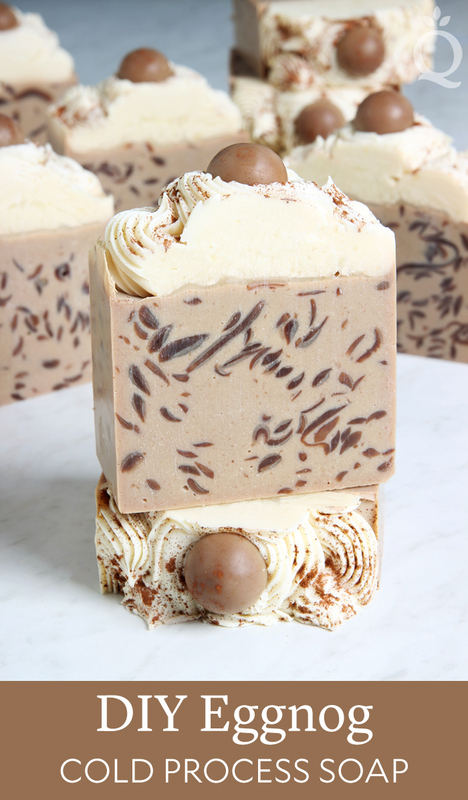 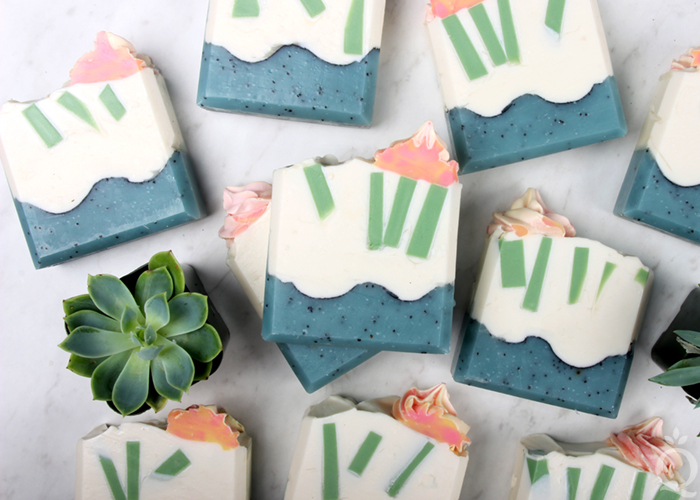 We’re thrilled with how this soap turned out. 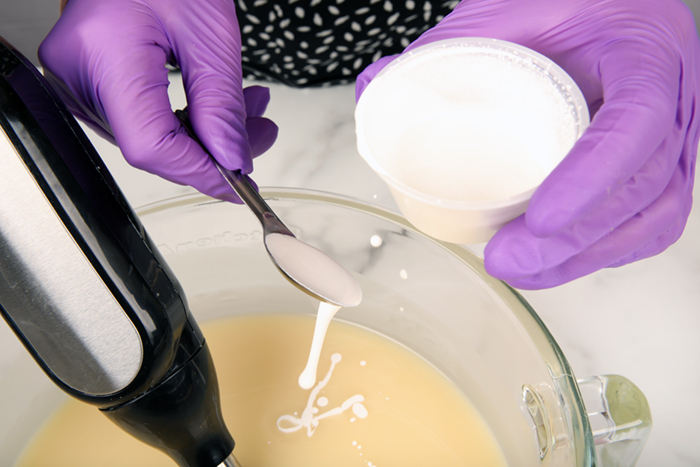 This project is not for the faint of heart. 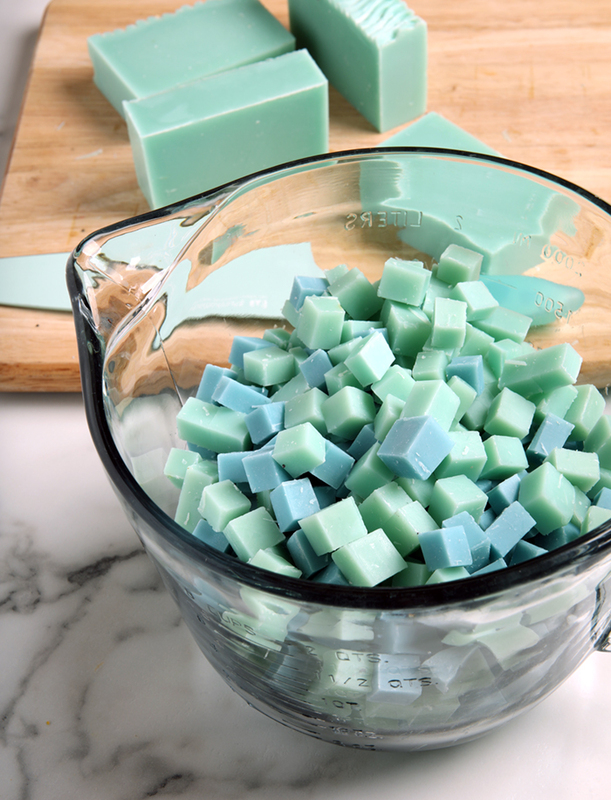 It’s not particularly difficult, but it does take several batches of soap and a few days to complete. 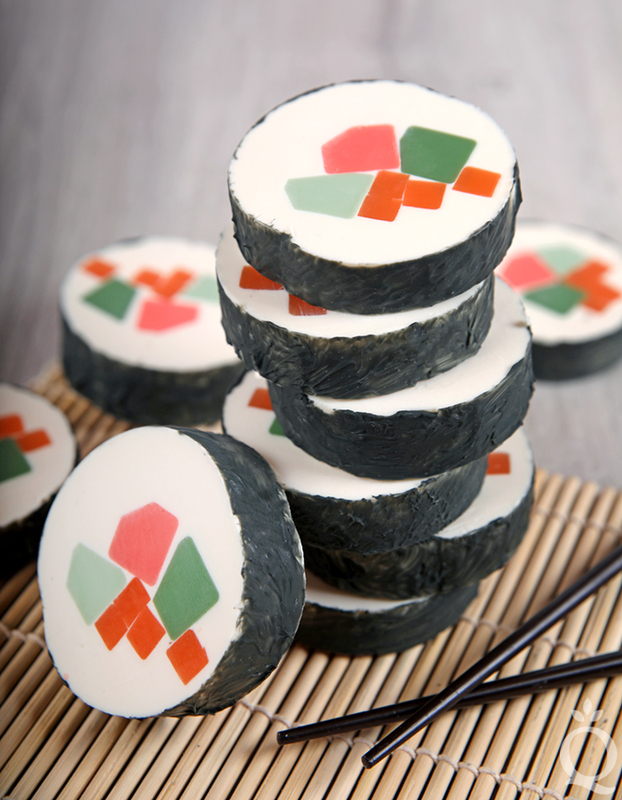 First, several column embeds are created to look like sushi fillings. 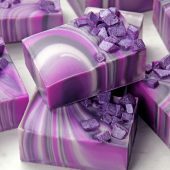 We used LCP White and LCP Clear Melt and Pour Soap Base to expedite the process, but the embeds can also be made with cold process soap. 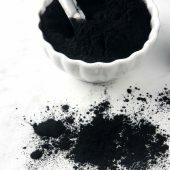 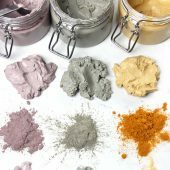 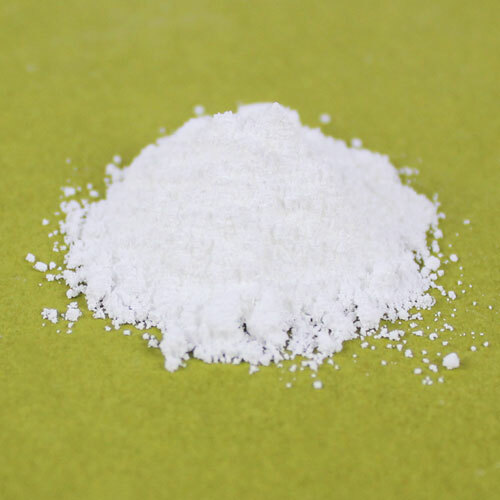 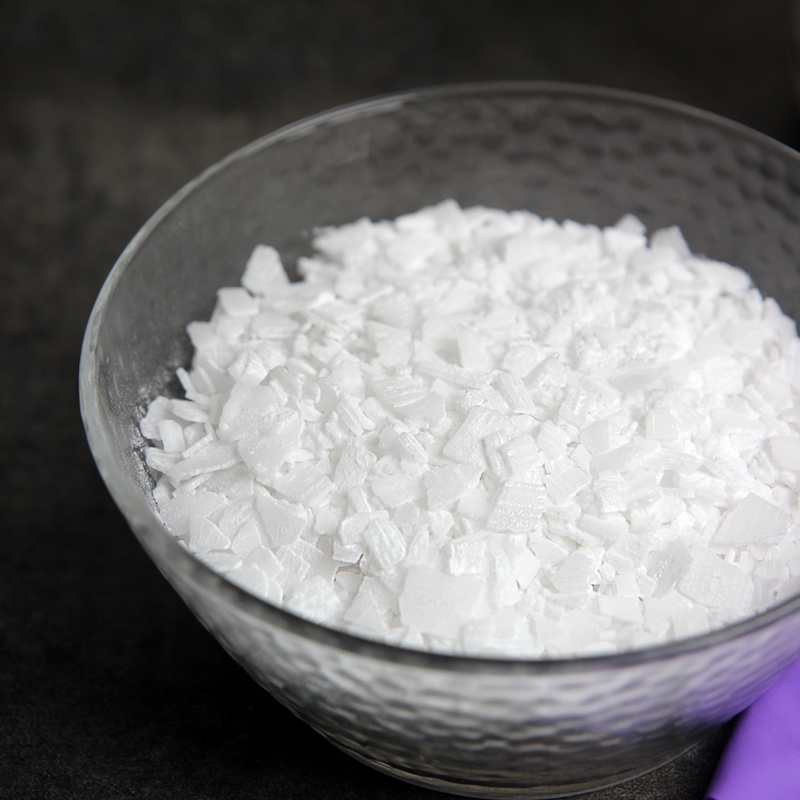 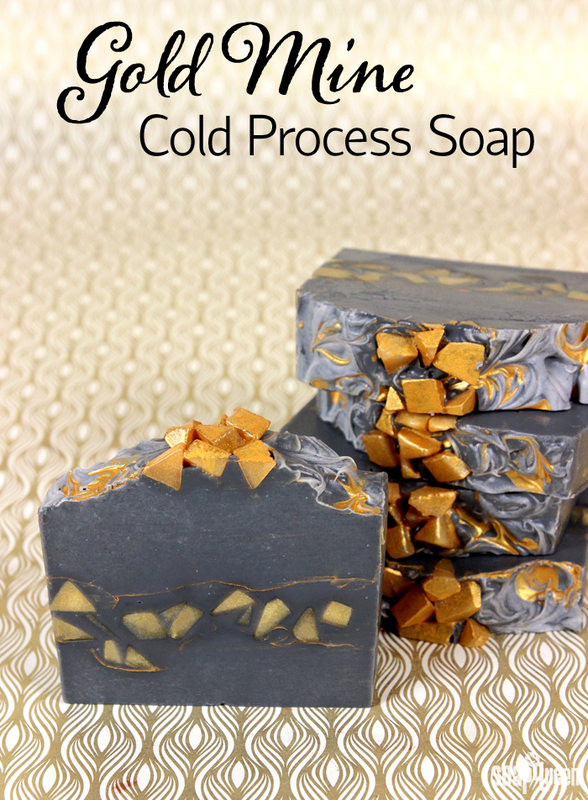 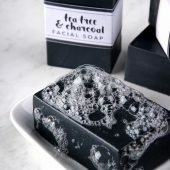 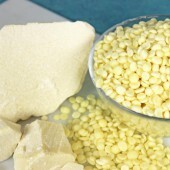 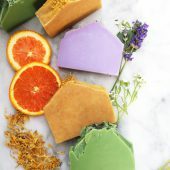 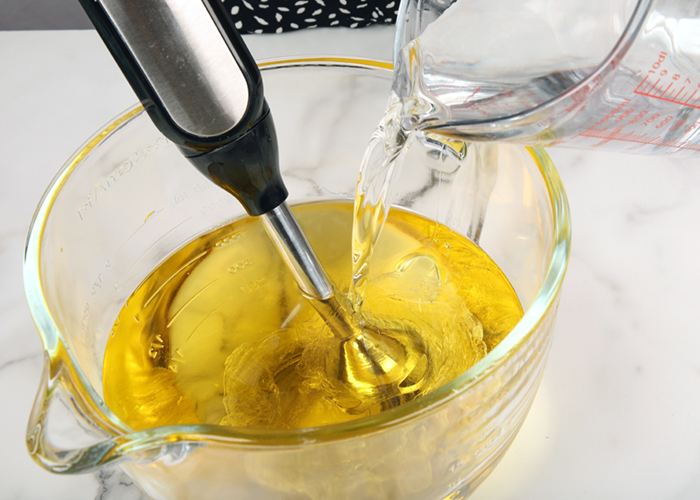 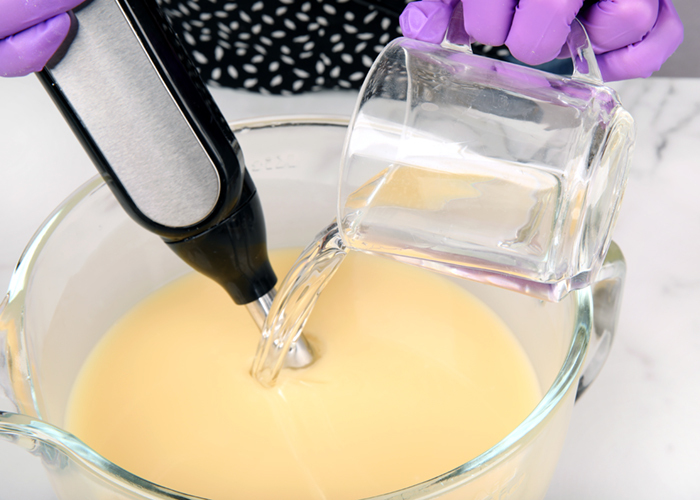 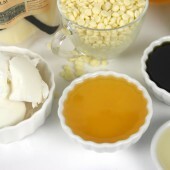 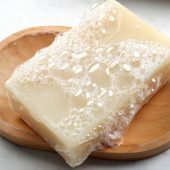 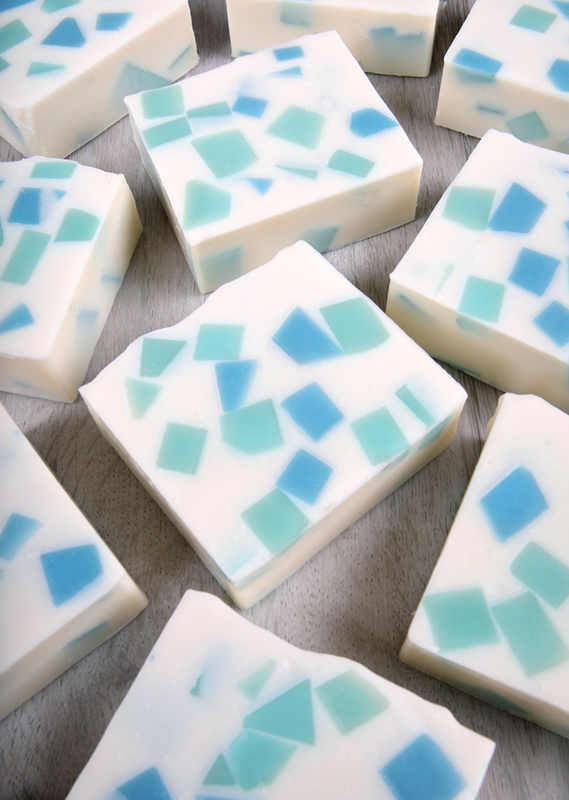 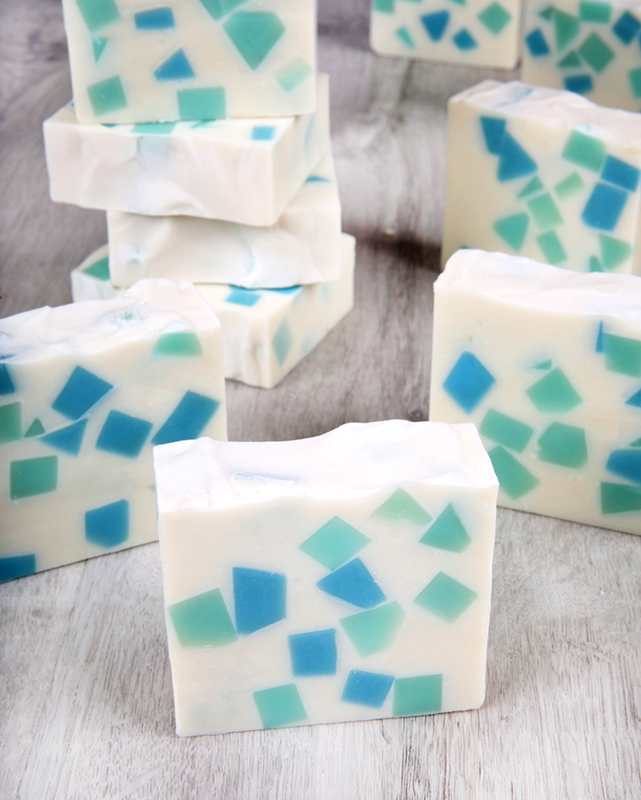 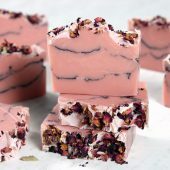 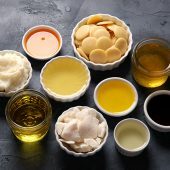 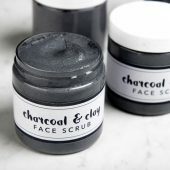 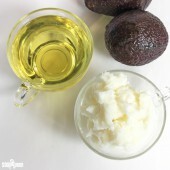 “LCP” stands for “like cold process.” It contains less glycerin than standard melt and pour base, which makes it ideal for embeds in cold process soap. 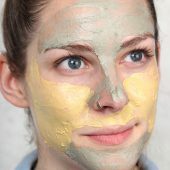 Once the embeds are cool and hard, they are cut into random shapes. 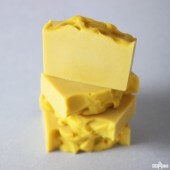 The exact shape doesn’t really matter, but they look more natural than a perfect square. 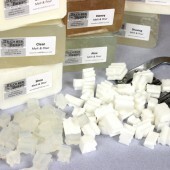 For our first attempt at this project, we used a mixture of fresh cold process batter and finely chopped white cold process soap to create a “rice” texture. 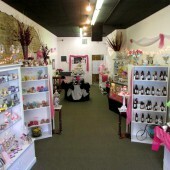 You can see this bar on the left in the photo below. 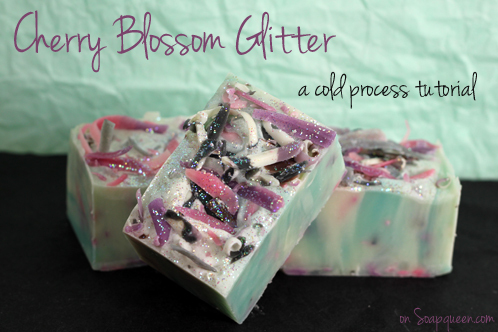 It turned out nice, but it was a lot of work for not a huge payoff. 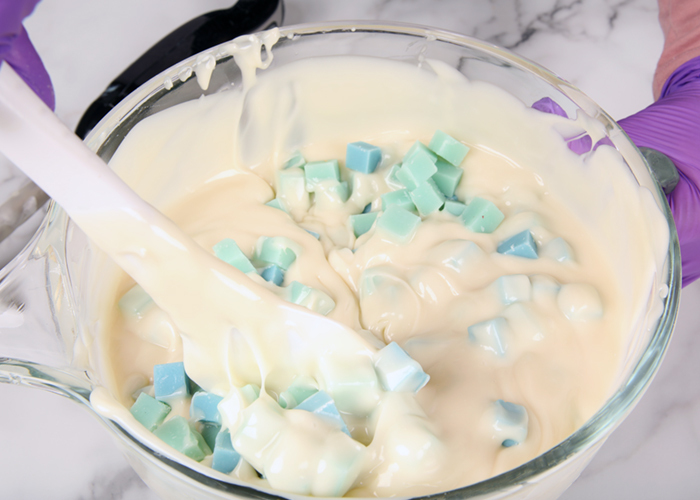 The “rice” texture is fairly hard to see, so we skipped it for our second attempt and this tutorial. 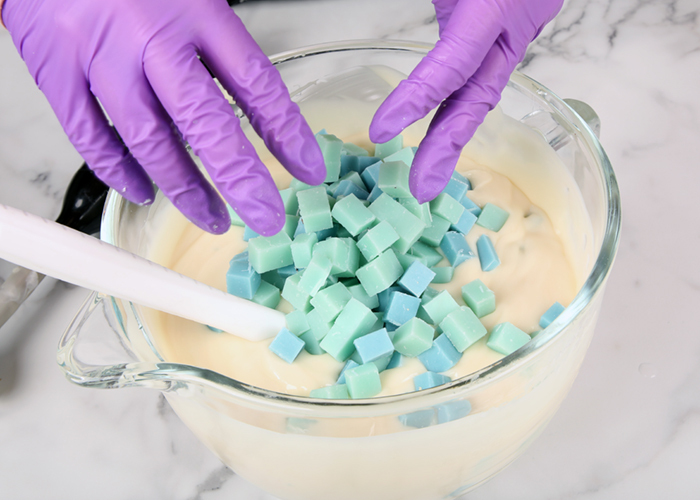 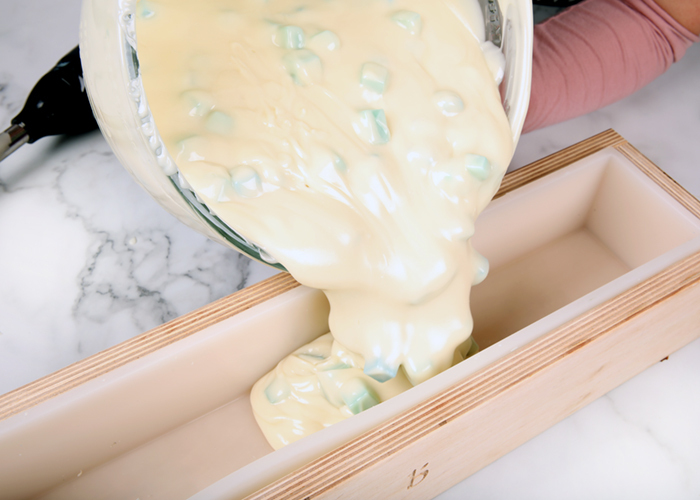 The embeds are inserted into the Silicone Column Mold, and white soap scented with Wasabi Fragrance Oil is poured around them. 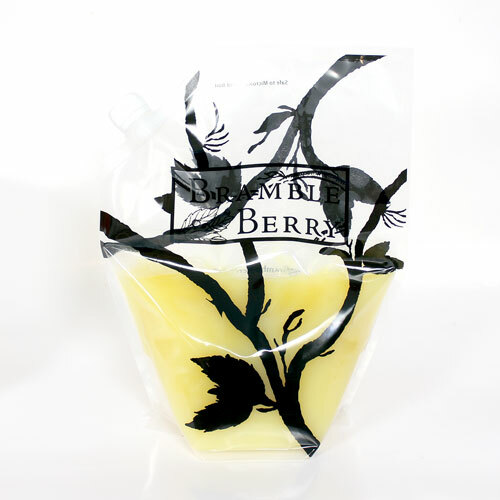 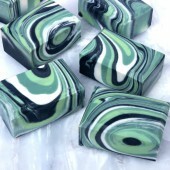 The fragrance is reminiscent of wasabi without smelling exactly like it – it’s fresh, slightly spicy, and green. 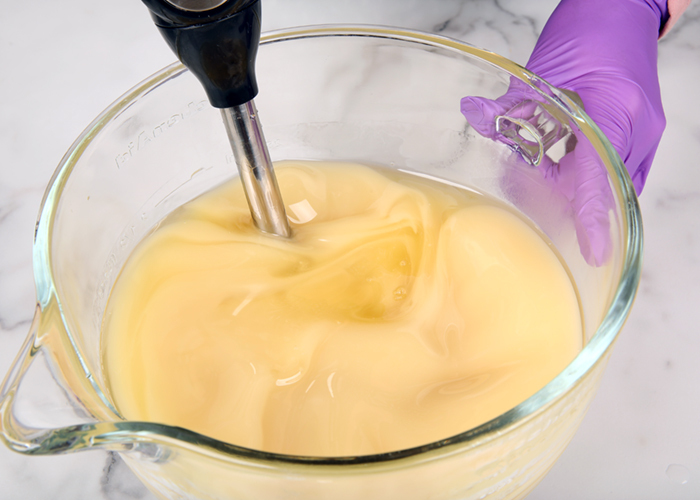 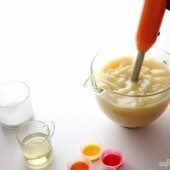 After about 1-2 days, the soap can be removed from the Silicone Column Mold. 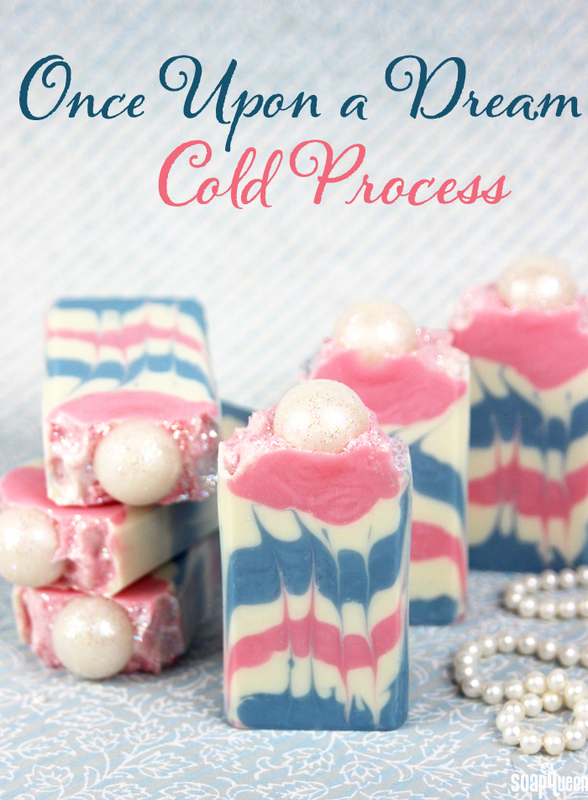 The final step is “painting” cold process soap on the outside of the soap. 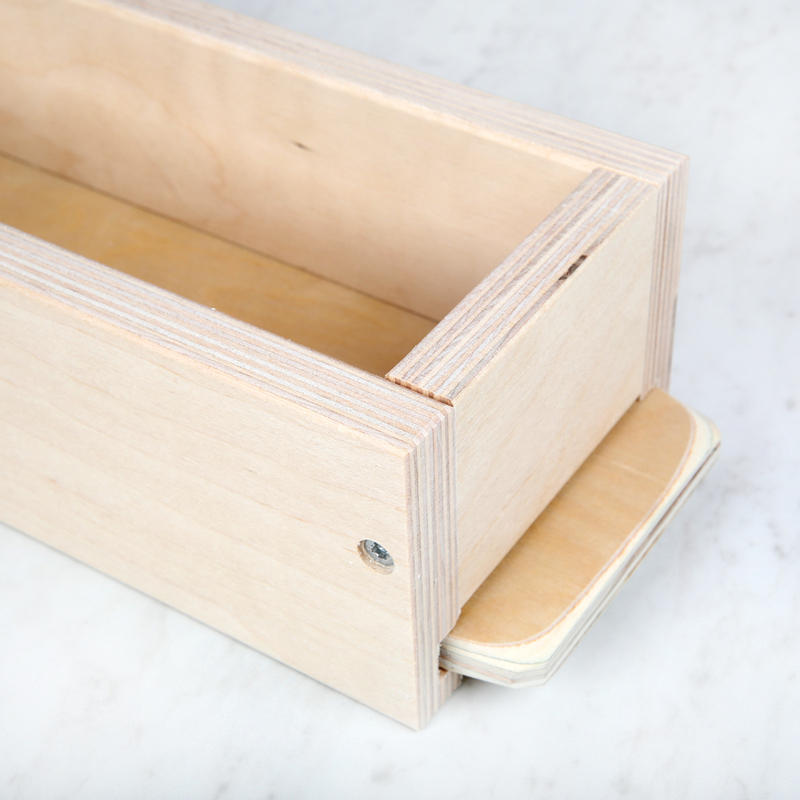 We used a Shaving Brush for this step, but any large fluffy paint brush will do the trick. 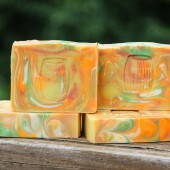 We experimented with painting the entire batch first then cutting, as well as painting the individual bars. 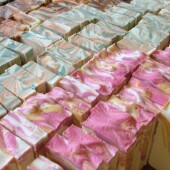 We found painting the individual bars a little bit easier – the outer layer tended to crack when we cut the soap after. 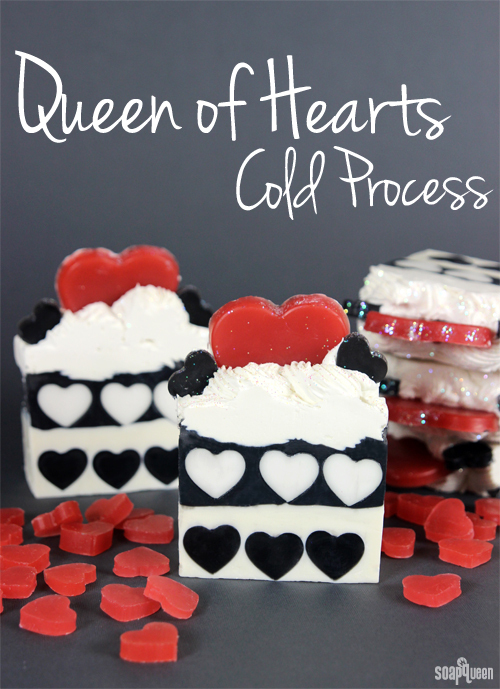 It’s a fairly complicated project but we think it’s worth it. 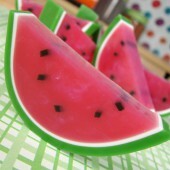 We think they’ll be a hit at markets – they’re a great conversation piece. 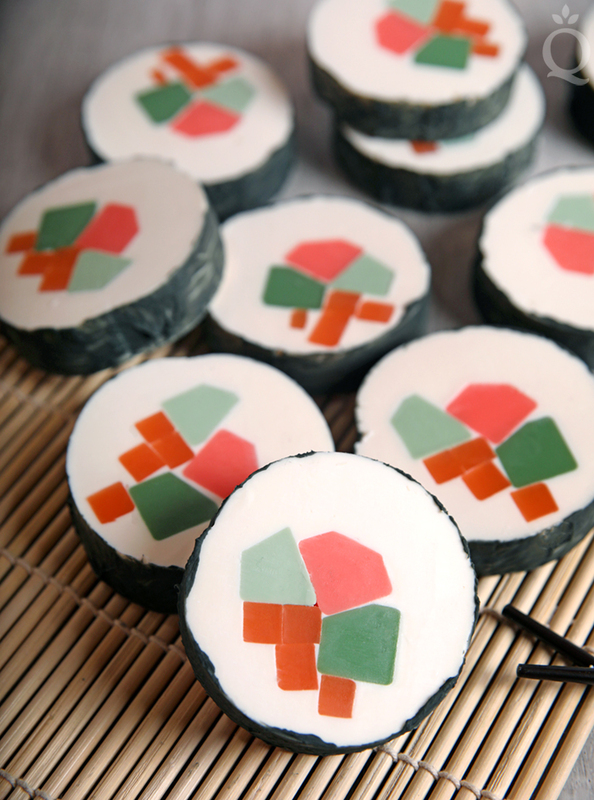 They would also be the perfect gift for any sushi enthusiast in your life. 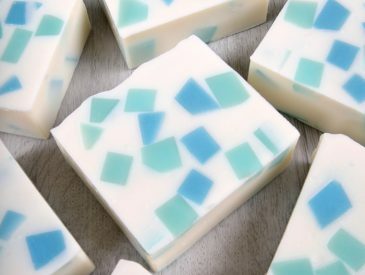 When I was writing Pure Soapmaking, I knew I wanted a really unique looking bar of soap. 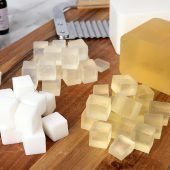 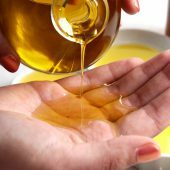 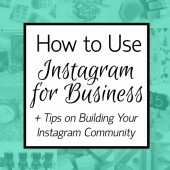 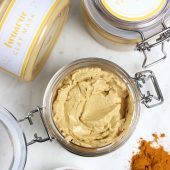 I also wanted a recipe that included several techniques, including embeds and infusions. 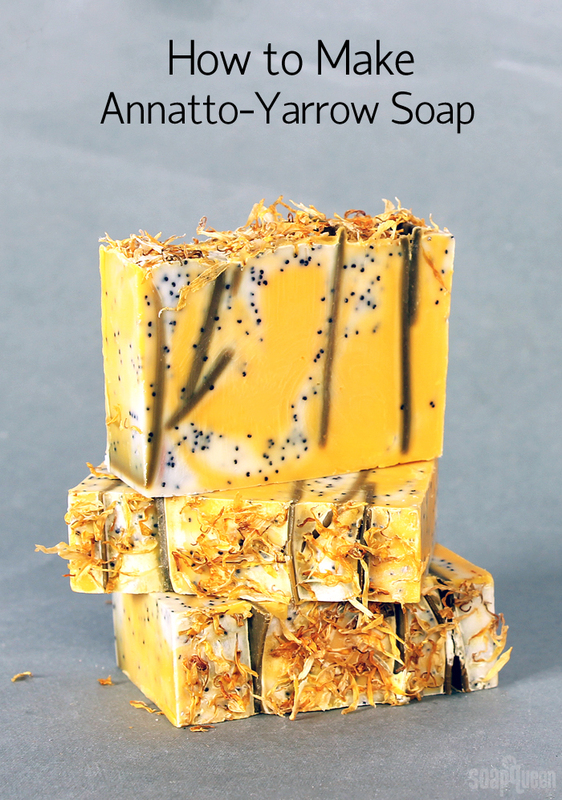 That’s where this Annatto-Yarrow Soap with Embeds comes in! 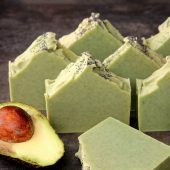 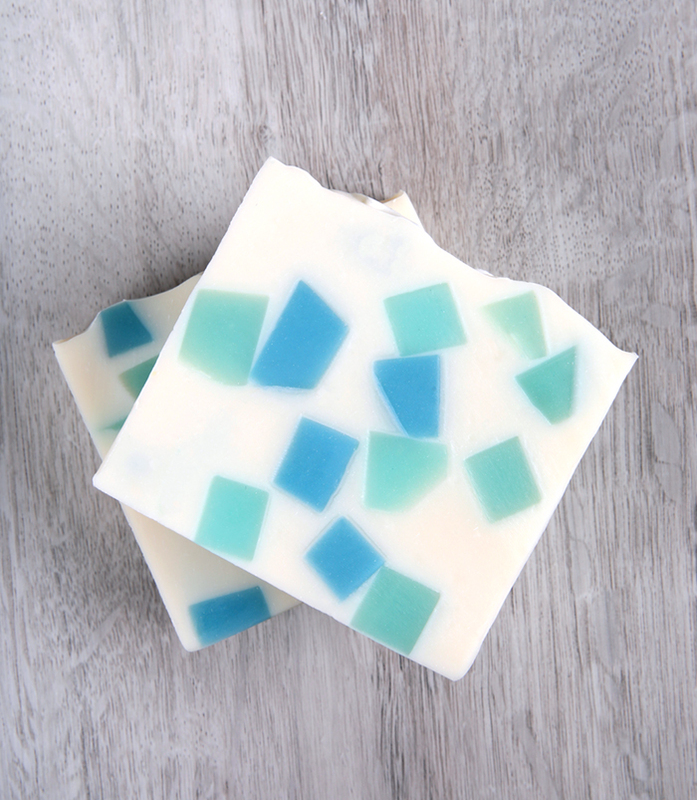 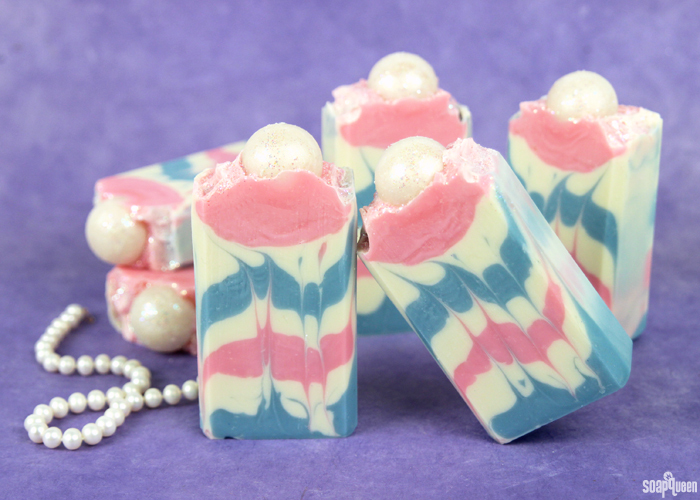 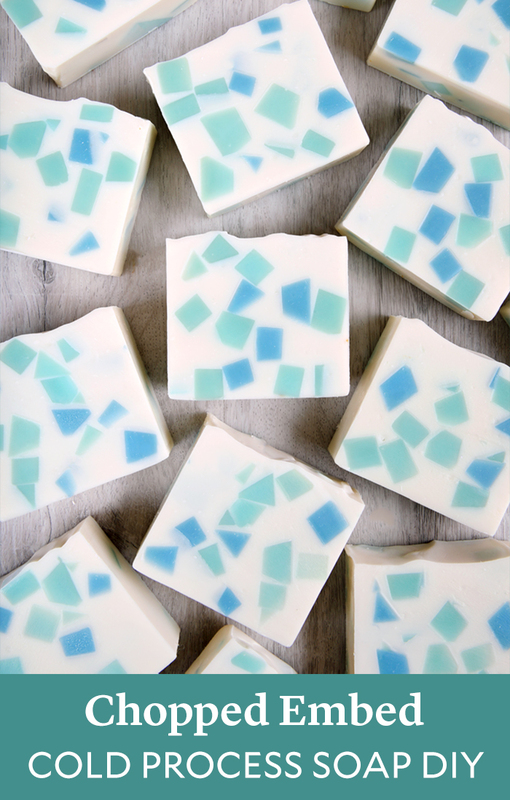 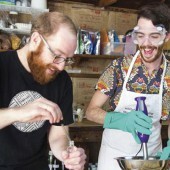 It’s a fun and funky bar made with natural colorants and essential oils. 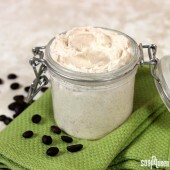 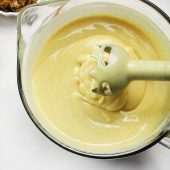 This recipe does require some preparation, and the embeds will need to be made at least 2 days ahead of time. 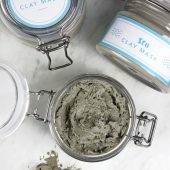 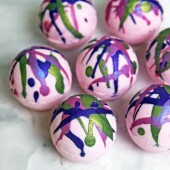 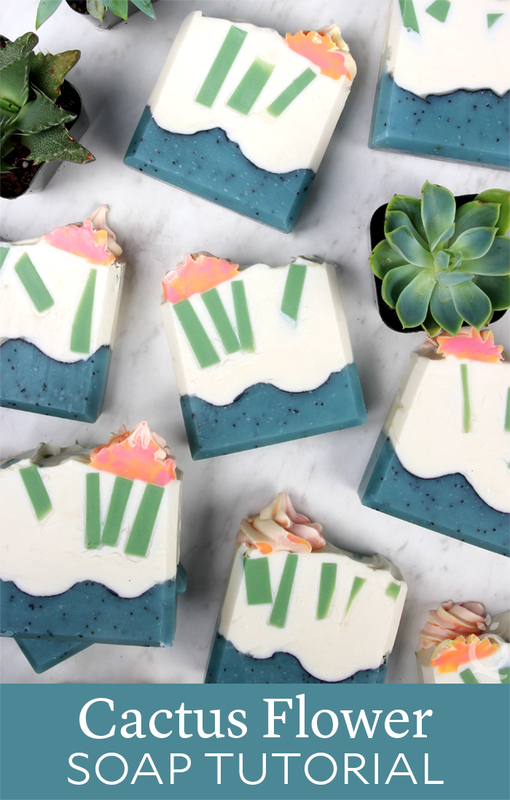 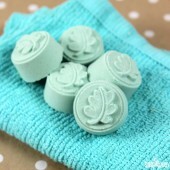 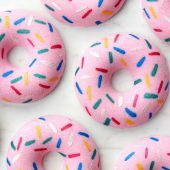 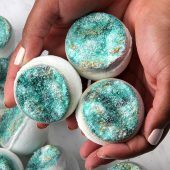 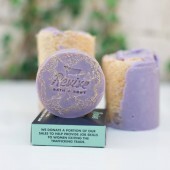 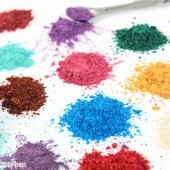 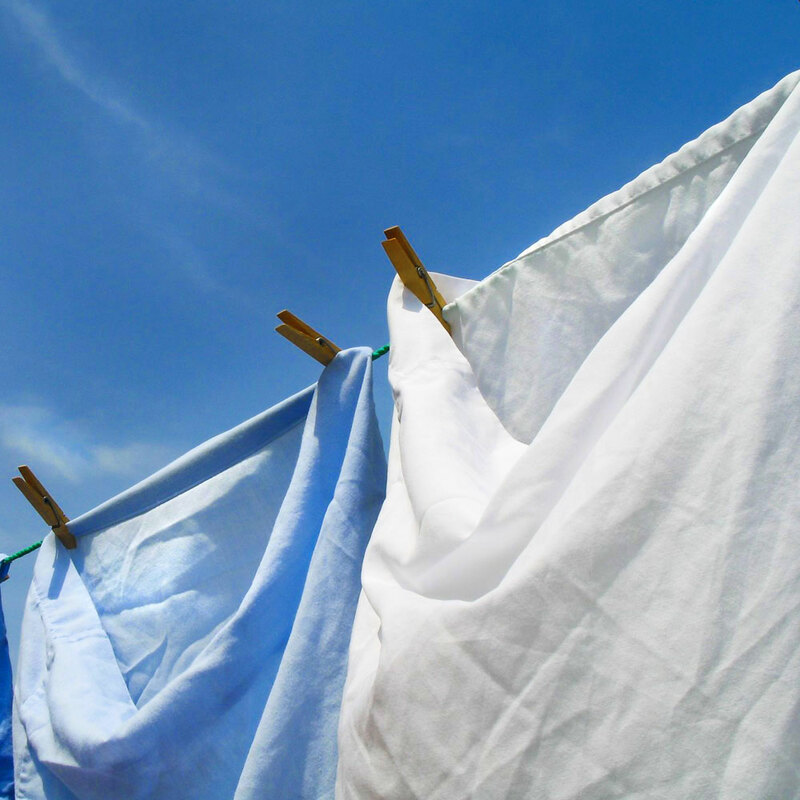 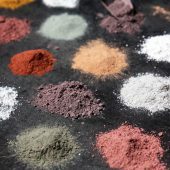 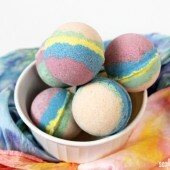 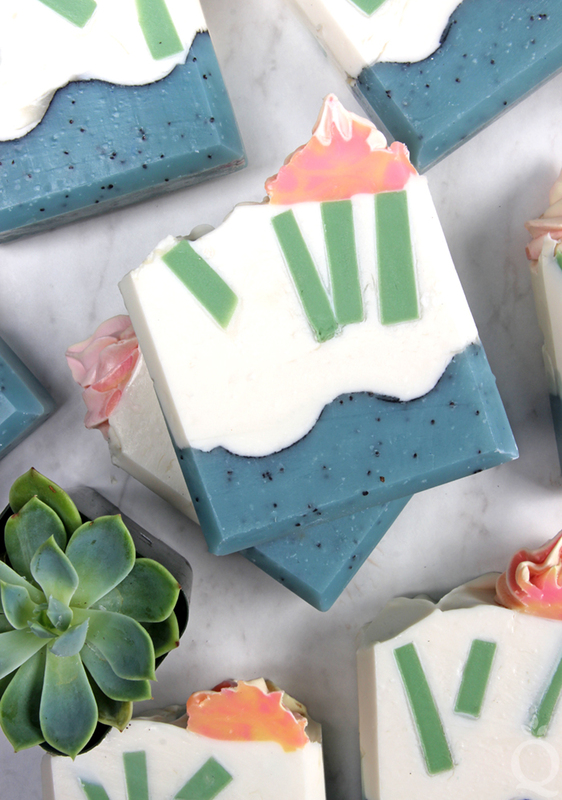 They’re colored with spirulina powder and scented with fresh bergamot essential oil. 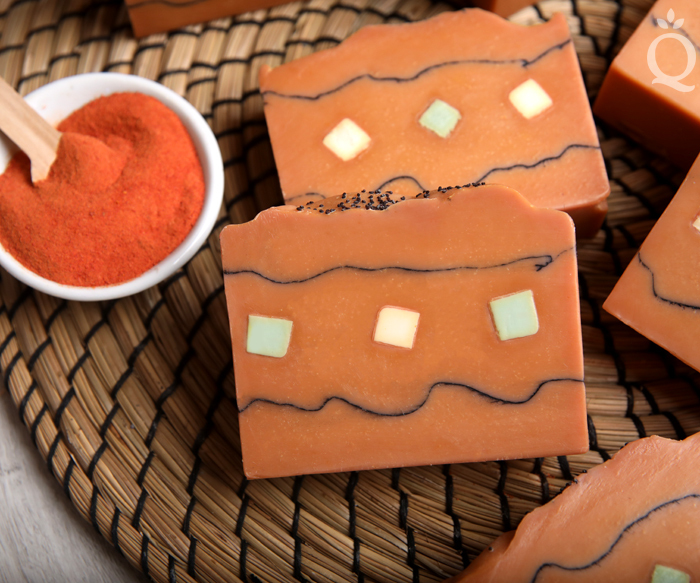 Those embeds are placed into the base, which is colored with an annatto seed infusion. 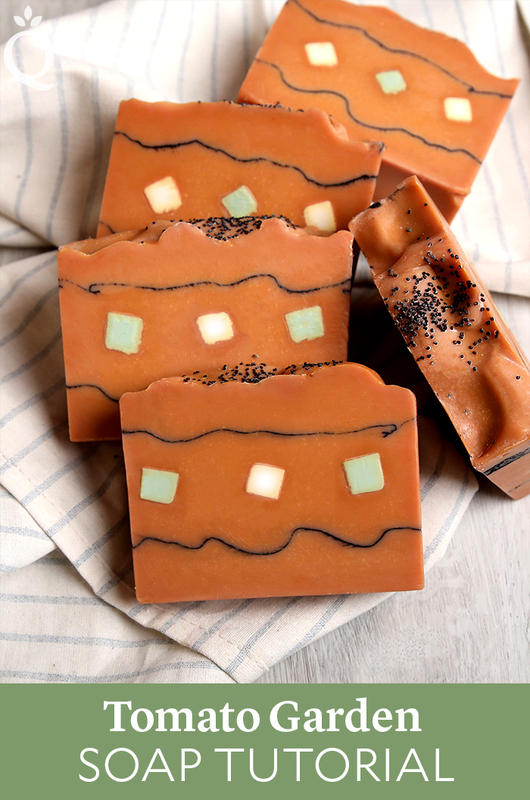 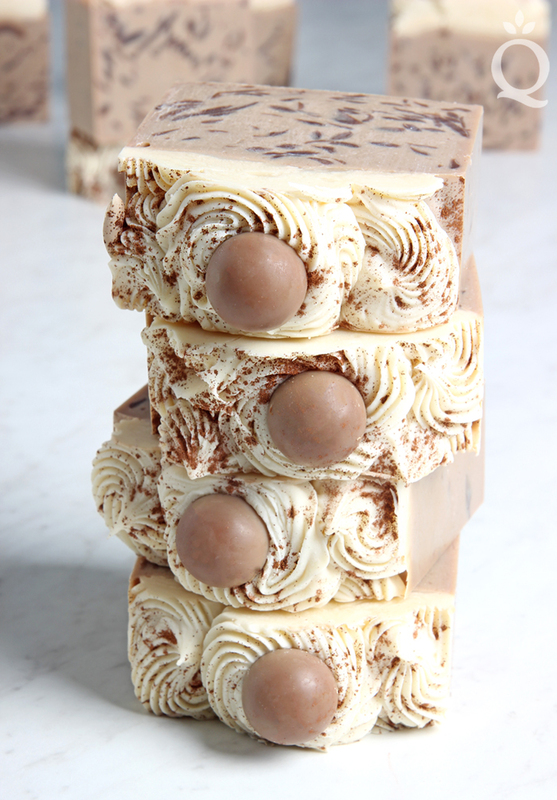 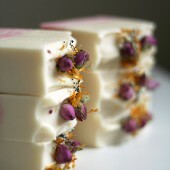 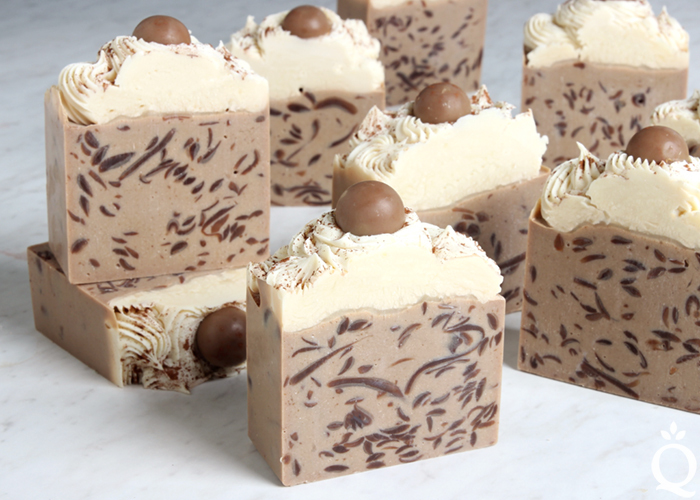 It also has poppy seeds, which adds exfoliating properties to the bar. 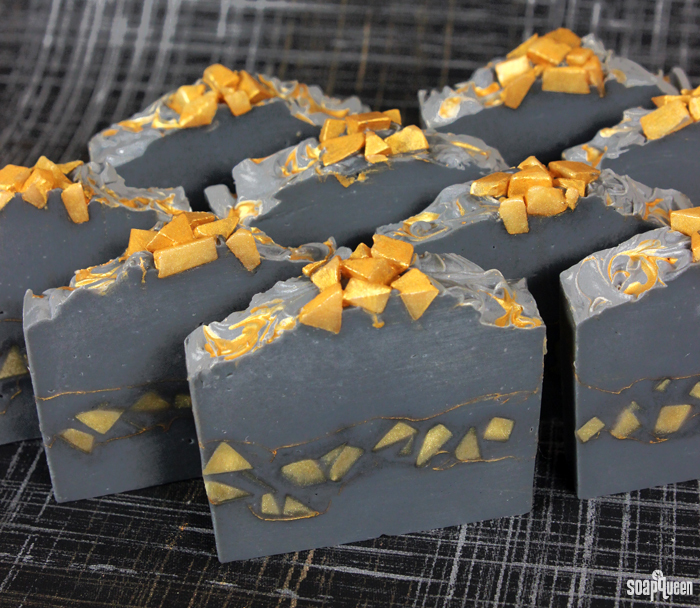 Calendula is placed on top for a finishing touch. 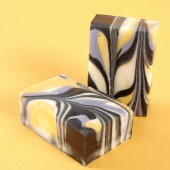 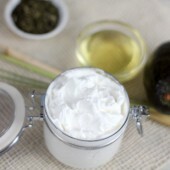 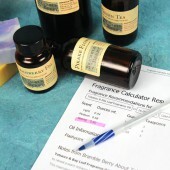 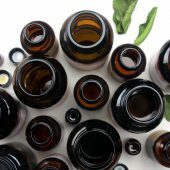 The combination of bergamot essential oil and rosemary essential oil creates an earthy and refreshing blend. 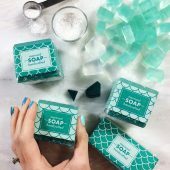 The ocean is a constant source of inspiration, from the icy blue colors to the fresh ozone scents. 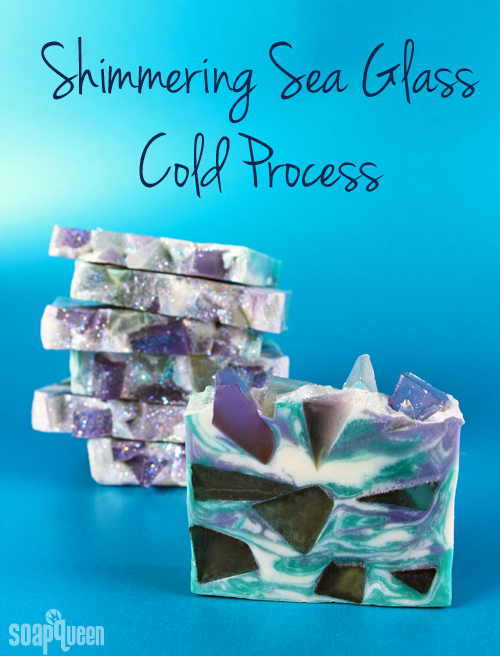 Inspired by the textures of the sea, this Shimmering Sea Glass Cold Process uses clear melt and pour pieces to mimic the look of translucent glass found on the shore. 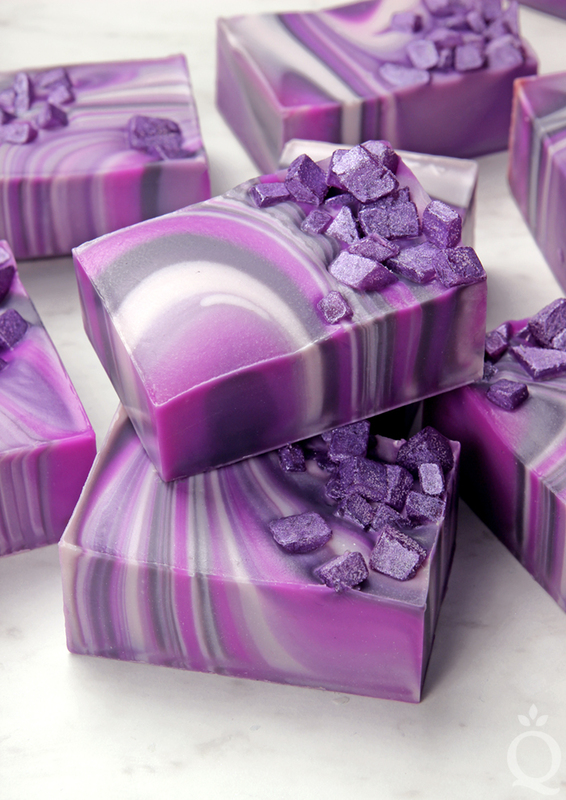 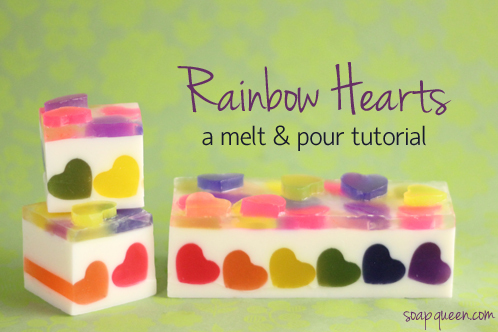 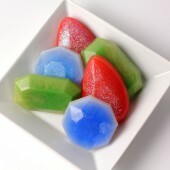 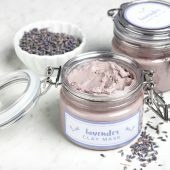 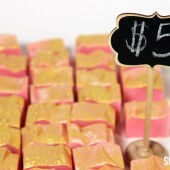 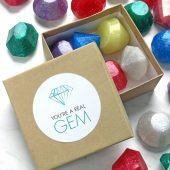 Melt and pour pieces are embedded within the soap, and placed on top with plenty of glitter for a crystal-like effect. 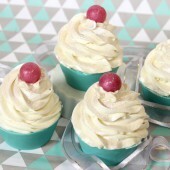 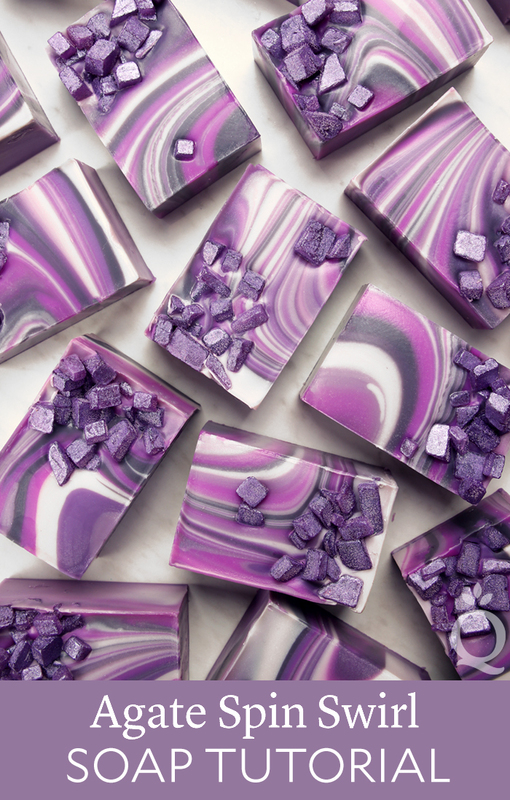 A simple In-the-Pot Swirl creates a fluid swirl of teal, purple and white. 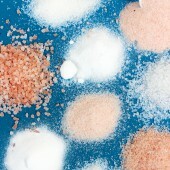 Over time, the embedded melt and pour pieces may begin to shrink slightly due to the loss of moisture. 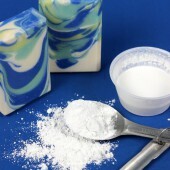 Using LCP (Like Cold Process) melt and pour bases helps avoid this, because of the lower glycerin content. 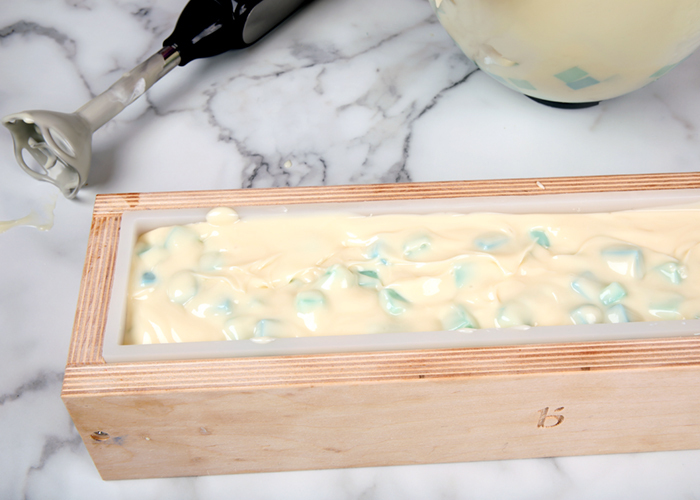 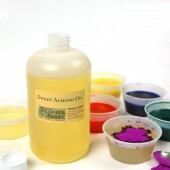 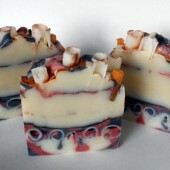 Embedding melt and pour soap is a great way to recycle leftover bits from previous projects. 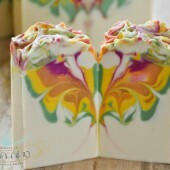 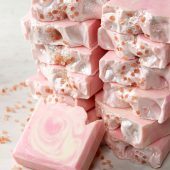 This project combines the beautiful swirls you can achieve easily with cold process soap and the ability to layer designs in melt & pour. 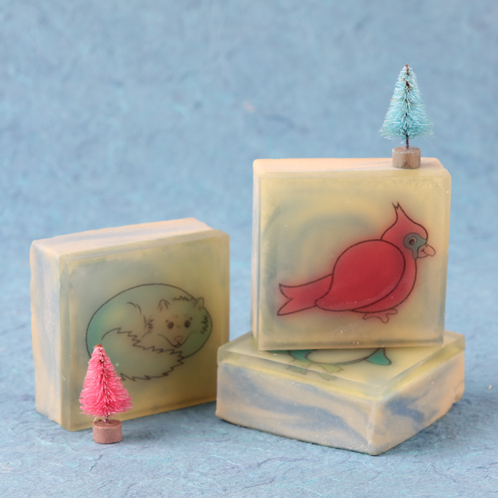 You can print out these cute holiday creatures from this template on water soluble paper and layer them on your soap to give your finished soaps some whimsical character.